This is a special edition of “Ask the Expert.” Recently, a woman in a facebook group I’m in was asking which running shoes she should buy. The overwhelming response was to go to her local running store and get properly fitted. Nearly everyone that replied told her about a personal experience they’d had shopping at their local running store. So I thought it would be good to share some of those experiences with you, to give you an idea of just why you should literally “ask the expert” at the nearest Foot Traffic. Person on the Internet: I’m selling these shoes that I only wore for a few runs because they hurt my feet. Run Oregon: When you buy running shoes, you have to get ones designed for your gait, footstrike, and stride. You can’t simply buy the ones that feel comfortable the instant you put them on, or the ones that you like the look of. You have to talk to an expert that will watch you run, ask to see your current shoes for clues as to how you wear them down, and then run in a few pairs of shoes while that expert evaluates how various models affect your mechanics. And Foot Traffic stands behind their recommendation: if you wear the shoes and they end up not working out, you can take them back. Another person on the Internet: What’s a good sports bra? Run Oregon: One that gives you support, fits comfortably, and gives you confidence to run your best. The other thing about sports bras is that “they should never have a birthday,” meaning they have a lifespan of less than a year. Fortunately, Foot Traffic has an excellent selection of sports bras and clerks that know how they should fit … from personal experience! Whoever said, “All you need to run are some good shoes” clearly was not a woman. A properly fitted sports bra will chafe less, which makes it more likely you’ll run further or faster, and make the run more comfortable. Yet another person on the Internet: Why does Run Oregon recommend shopping local so much? 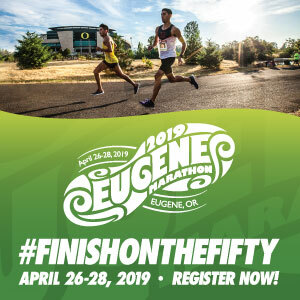 Run Oregon: SO MANY REASONS. First of all, shopping local supports our community. Second, community running stores offer a physical place where runners can go to try out new gear, join a group run, and try out a microbrew. Wait, what? Yes! When you visit Foot Traffic, try to find the hidden beer tap … there’s one in each of their stores amid the shoe display. There’s a different micro-brewery’s best on tap at each store, including Lompoc, Breakside, Fort George, and more. The taps open up at Foot Traffic’s group runs and special events! “Ask the Expert” is a monthly feature we’ve cooked up this year with our friends at Foot Traffic. We’ll collect questions from readers through the run_oregon Instagram, and then get expert answers from the Foot Traffic staff. 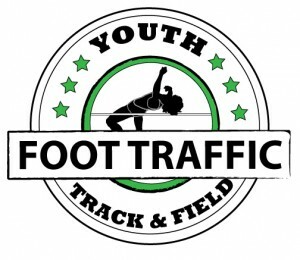 Foot Traffic is a local running store with locations in Vancouver, Sellwood, NW Portland off Cornell, and downtown Portland. Be sure to follow us on Insta so you catch the next round!